Tours to La Leona and Los Patos are best organized from Puerto Jimenez. Most tour operators there offer overnight tours via La Leona or Los Patos and staying in Sirena, but it is also possible to book a day trip. Prices vary wildly depending on the guide, the number of people, the mode of transport and the length of the tour. The price quoted above is from the Osa Wild tour office for a one day hiking trip. Overnights through to Sirena will generally set you back around $300. We cannot honestly recommend these options. Puerto Jimenez is not a particularly pleasant place to stay and neither La Leona nor Los Patos offer the impressive wildlife spotting opportunities of Sirena or San Pedrillo. 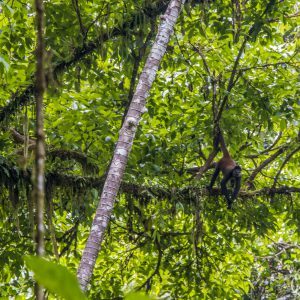 We encourage you to visit Corcovado National Park from Drake Bay and take a look at the options for day trips and overnights here instead. I have not visited La Leona Rangers Station for more than 3 years, but I did do volunteer work there during the last half of 2009 and the first half of 2010. Armed with only water, a rake, a machete, and my camera; I helped clean the trails of this station before tourism came to the peninsula. At the time, there was no road to the Osa Peninsula- after all, there is no road to true nature. People could fly into one of several tiny airstrips in the region, but in my experience, if you don’t know of a locations existence, you’re not going to book a flight there. No paved road also meant no investors and no advertising. Today, the La Leona Ranger Station is very well advertised thus very well known. Too well known, in my opinion. Teh area has similar flora to that at San Pedrillo Rangers Station but sadly, the fauna has largely abandoned the region and migrated to the privately owned properties surrounding the small neighborhood community of Matapalo. Matapalo has a similar food supply as La Leona, but nowhere near the traffic of tourists. These days, I would rate the community of Matapalo as the 2nd best place in Costa Rica. Drake Bay is, of course, number 1. La Leona Ranger Station is not recommended by Gringo Curt’s. I would actually love to see tourism stopped completley in this area so that nature could reclaim it. I simply loved this location before thousands of tourists per month began walking the trails. It was like an identical twin to San Pedrillo and now, even though it is a lowland area with much more diversity of flora, the lack of animal life reminds me of Monteverde. I have experienced first-hand the destruction of pure nature by foot traffic here and I personally will not endorse a place that has changed so drastically for the worse. If you are still searching for a way to visit the La Leona Ranger Station, this is certainly the easiest “Osa-pian” tourist activity to organize. Any tour agent in Puerto Jimenez will be able to accommodate you. However, I have no friends that do this tour and there is a likelihood of ending up with someone pretending to be from the area, that may also give you inaccurate information about the animal and plant life. Buyer beware! 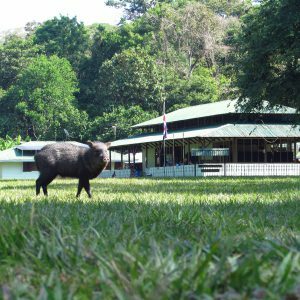 While all of the other major Corcovado National Park Rangers Stations are low-land and located next to sandy beaches, the Los Patos Ranger Station is 137 meters above sea level. 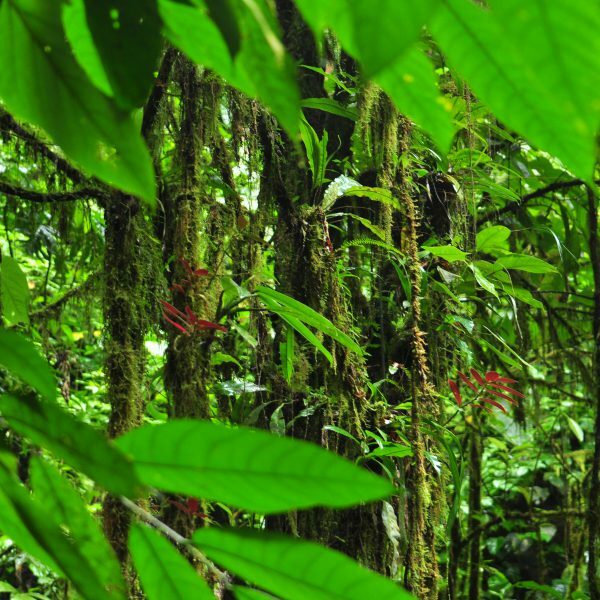 When considering that the Osa Peninsula contains half of Costa Rica’s total biodiversity, then any natural place on the peninsula should contain more biodiversity than say, Tortuguero, Montezuma, Puerto Viejo or Monteverde. 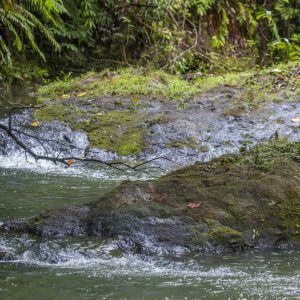 When observing this list of popular Costa Rican tourist traps, Los Patos is most similar to Monteverde because it is surrounded by primary cloud forest. The flora grow, in both of these places, as if human evolution never happened. Los Patos differs from Monteverde in that it does contain more animals. However, higher elevations often mean less water supply and less woater (I have found) equals less life. 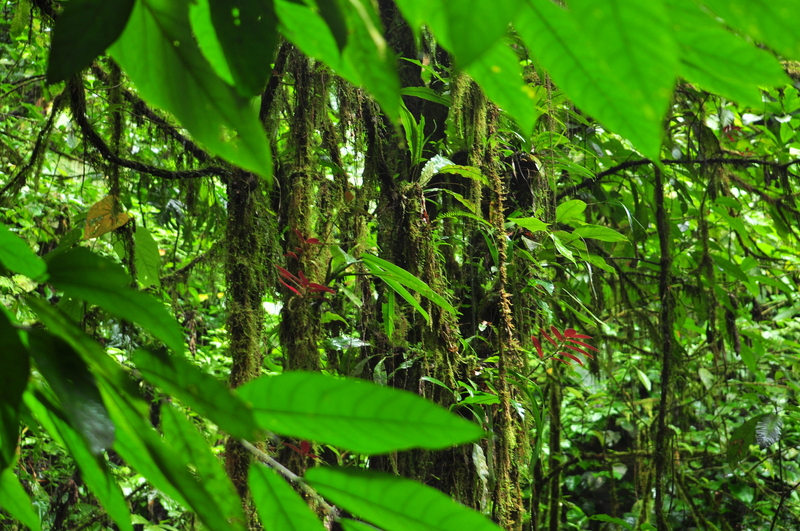 Although Los Patos is much more natural than other primary jungle locations found in other parts of Costa Rica, it has much less biodiversity to experience than what can be found at the stations located closer to sea level. How much would I recommend visiting Los Patos Rangers Station? 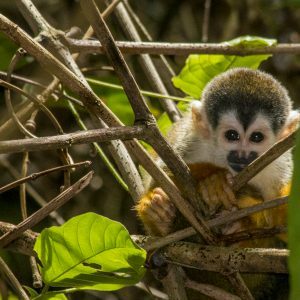 If you are searching for nature and have time for Manuel Antonio, The Nacoya Peninsula or the Costa Rican Caribbean, then you must have enough time to visit Los Patos. If you have only a month to spend on the Osa Peninsula, then I think that I would direct visitors to other Osa locations before recommending Los Patos.